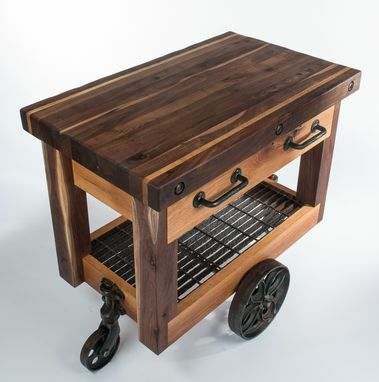 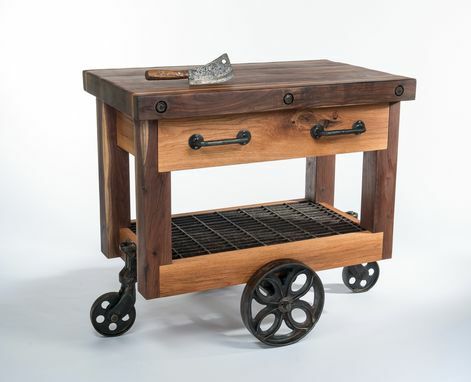 Hand crafted from solid Black Walnut and Red Oak. 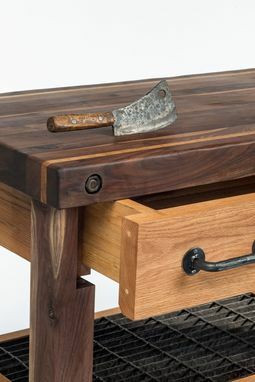 3" thick solid hardwood top, ideal for cutting. 100+ yr old lineberry factory cart hardware.